Status Quo will release their brand new 2CD album “Bula Quo!” on 15th June 2013 [Cat Nos Physical QUOCD007, Digital QUOCD009] via Fourth Chord Records / Warner Artist & Label Services. The first single from the album, entitled “Bula Bula Quo”, will be released on the same date. Disc One of this much anticipated release features 9 brand new tracks which are taken from the soundtrack of the band’s forthcoming debut feature film “Bula Quo!” The second disc contains exclusively reworked or live versions of 10 classic Quo hits, also as featured in the film, including an amazing Fijian-style rendition of “Living On An Island”. There is also a limited edition deluxe box set - featuring exclusive gatefold LP, 7", postcards, poster and certificate of authenticity, plus the 2xCD edition, housed in a bespoke box - available only from www.statusquo.co.uk [the site for all album pre-sales, tour tickets and more information]. “Bula Quo!” itself is a 90-minute action movie, featuring the band as themselves and also starring Craig Fairbrass [‘Cliff Hanger’, ‘Rise Of The Footsoldier’, ‘Eastenders’] and Laura Aikman [‘Keith Lemon The Movie’, Freight’, ‘Surviving Picasso’] with Jon Lovitz [‘Saturday Night Live’, ‘Friends’, ‘The Wedding Singer’]. The film was directed by Stuart St. Paul, who has worked on projects ranging from Duran Duran’s seminal ‘Wild Boys’ video, to ‘Aliens’, ‘Batman’ and three ‘Bond’ movies. With “Bula Quo!” receiving its first screenings at the prestigious Berlinale Film Festival in February of this year, resulting in deals being struck to take the film into many global territories, interest in the band has never been greater. 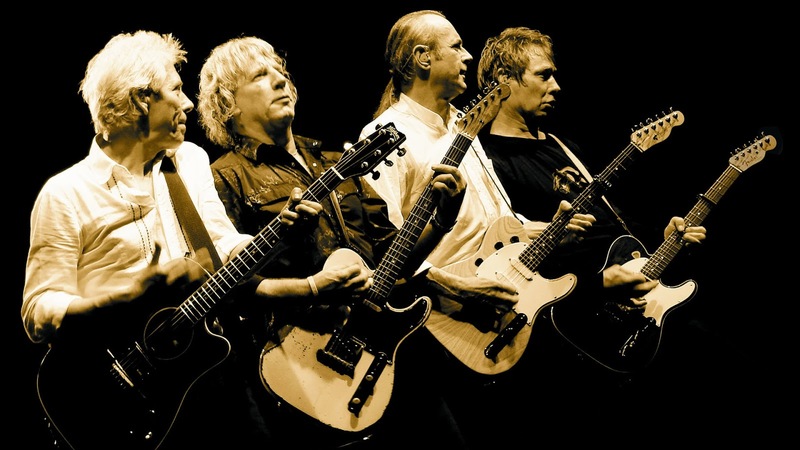 The album “Bula Quo!” is a slice of sunshine but also a great collection of brand new songs from one of the world’s greatest rock bands.